Fathers will ask me from time to time how they can monitor their child support payments to make sure the money will be used for the children’s expenses and not the mother’s expenses. Is it a father’s right to know? Some of the money would have to be allocated to common expenses like rent, utilities, food and transportation. Others would be direct expenses like clothing. It seems to me that this would be an accounting nightmare so I recommend against it. Some fathers want me to raise the issue with the court. I tell them about the equitable doctrine of “De minimis non curat lex” (“The law does not bother with trifles”). Judges are barely keeping up with the cases they have, and simply don’t have the time or inclination to monitor monthly expenditures in a child support case. The court will take action if a child is being neglected, typically by changing custody. But short of that, mothers do not have to report how child support is spent. For a mother’s perspective on this, see this article by Christina Rowe. This post was contributed by Kelly Kilpatrick, who writes on the subject of a police detective. She invites your feedback at kellykilpatrick24 at gmail dot com. If you’ve seen someone go through a bitter divorce and the even uglier child custody battle, you’ll know that the courts are not generally favorable towards the father, especially when it comes to securing custody of the child. Some fathers are happy to wash their hands of the responsibility of child rearing, but others are left devastated when their spouse gets sole custody and they’re asked to pay child support and alimony too in some cases. Most judges are predisposed to awarding custody to the mother, simply because she is the one who’s had more time with the child, especially if he or she is pretty young. When you’re on the verge of a divorce, it’s hard to be rational and think before you act. But when it comes to your children and the fact that a court is going to tell you how you’re going to be allowed to relate to them for the rest of your life, you must put your emotions aside and use your head alone to save yourself a whole lot of trouble. The first thing to do is to make your divorce amicable; I know it’s the hardest thing to do, part on good terms with someone you don’t want to live the rest of your life with. But if you share children, it’s the mature thing to do. This has a host of advantages, especially to you as the father. You don’t say things you may regret later, things that if overheard by your youngster, could end up harming your reputation in his or her eyes. Remember, your child is likely to be influenced by your spouse, so it’s best to remain on cordial terms with her. A friendly divorce also allows you both to save a ton of money – you can bypass the lawyers altogether, seek joint custody of your children and reach a mutually satisfactory amount for child support and alimony. Better still, you remain on good terms so that your children feel secure even though you’re divorced. I know I’m painting a pretty rosy picture where your spouse agrees to an amicable divorce and joint custody, but it’s worth a try, for yourself and your children. Rather than assume that your spouse would never go along with your suggestions, and that she is out to hurt you, be gracious enough to give in once in a while. After all, you were in love with the woman once, and by being the bigger person, you save yourself an acrimonious divorce proceeding and a lot of money in the process. Your spouse may also feel the need to relent once she sees how reasonable you’re being, so go ahead, give it a try. You’ve nothing to lose (other than what you will even if you don’t try) if it doesn’t work out, and everything to gain if it does. While many clients think the trial resolves everything, most lawyers know that is not the case. If the mother of your children was difficult before the trial, the trial is not going to make her into a different person. She will still be difficult, you will have disputes regarding the children and you will need to resolve them somehow. The court has the power to enforce its orders or the agreement of the parties. So the court can order a mother to allow visitation or can order a father to pay child support. However, the court will only do this if one of the parties asks it to do so by filing a petition. The other party will then have an opportunity to respond and a hearing to present their side to the judge. It is always better to resolve disputes yourselves if possible. If you have a settlement agreement, you can include a provision that disputes will be submitted to mediation before taking the other party back to court. You can also include a Parenting Coordinator in an agreement. This would be someone that the parties can take their disputes to and let them make a decision. This is less costly and time consuming than litigation. If you cannot resolve your dispute through one of these methods, then you must go back to court and ask the judge to decide. In some cases, it may be like trying your case all over again. In addition to resolving post-trial disputes, the court has the power to modify legal custody, physical custody, timesharing and child support after the trial, if circumstances change and the modification would be in the best interests of the child. Many clients ask about getting an online divorce. I have seen a couple of on line agreements that weren’t filled out properly by the clients. And I have seen one for Washington, DC, where the on line form terminated child support at age 18. DC law provides for child support until age 21. But after complaints from customers that they couldn’t get services or refunds, the state began investigating and found that the company was providing paralegal services without attorney oversight, a violation of state law. The company ceased doing business in Washington state and at last report is looking for an attorney. Clark Rockefeller made headlines when he took his seven year old daughter in Boston on July 27 during his first supervised visitation with a social worker. Rockefeller lost custody last December when the mother relocated to London for work. Rockefeller turned himself in in Baltimore and now faces felony charges in Boston. Some websites portray Rockefeller as a hero of fathers’ rights and are using his case to draw attention to problems with the family court system. She’s right. The system is imperfect. But until we come up with something better, it’s the best we’ve got. As Rockefeller found out, taking the law into your own hands will not work. 2. I’m Only in It for Myself. These people see the world as a hostile place. It is dog eat dog. Only the strong survive. These social Darwinist believe that while the inferior, weak people are busy being nice to each other, they will swoop down and take what they want, when they want, no matter what the consequences may be. If both parties use Reciprocal Altruism, the divorce can be settled rather handily. If both are using I’m Only in It for Myself, then it seems they are destined to have a long and costly litigation. What happens if they are each using a different strategy? It seems to me, the I’m Only in It for Myself strategist will walk all over the Reciprocal Altruism strategist and end up with the better part of the marital estate. Guggenheim says, that while he can sleep better at night as a Reciprocal Altruist, it is his observation that people who take what they want seldom suffer for it. Perhaps the best strategy is a blend of both. Focus on what you want and ask for it. Be polite but firm in the asking — an iron fist in a velvet glove. Like the Eagle on the Quarter, hold out the olive branch in one hand (settlement) and the arrows in the other (litigation). Then your spouse can decide which strategy it is going to be. Survey – Equal Parenting Time for Divorced Dads? “In 85% of divorces, fathers get just two weekends a month and a couple of hours during the week.” — Mike McCormick of the American Coalition for Fathers and Children. Parade notes that up to half of fathers lose contact with their kids after a divorce even with a trend toward shared custody over the past twenty years. http://tgclawyers.com/wp-content/uploads/2018/05/tgc-logo-1.png 0 0 James J. Gross http://tgclawyers.com/wp-content/uploads/2018/05/tgc-logo-1.png James J. Gross2008-07-08 13:31:252018-08-24 11:24:31Survey - Equal Parenting Time for Divorced Dads? Martin and Margaret Nolan got married in 1962 and adopted three children. When they divorced in 1974 in the District of Columbia, Martin agreed to pay $750 a month for child support. Things got confusing when Martin made some payments to the schools and sent some money directly to the children. Margaret filed suit for $28,085 in back child support. Martin claimed the parties had modified their agreement orally and by conduct (even though the agreement said it could only be modified in writing) and that he didn’t owe any back child support. Margaret denied she had agreed to waive child support. The trial court decided that, while the agreement could have been modified orally or by conduct, the burden was on Martin to prove it, and he had failed to convince the judge of this. The Court of Appeals agreed. Nolan v. Nolan, 568 A.2d 479 (1990). The lesson to learn from the Nolan case is this. If your ex-spouse agrees that you may pay child support directly to the school or the children instead of her, get it in writing. And if there is a court order for child support, ask the court to amend the order as well. The IRS said audits for last year rose 7 percent for individuals, 14 percent for taxpayers earning more than $100,000, and 30 percent for those making $200,000 or more. Millionaires had a 1 in 11 chance of losing at audit roulette. A test to see if divorced couples were correctly reporting alimony in California concluded that 40 percent of the taxpayers flubbed it, usually over several years. On average, they owed the state an additional $5,800 — and that was just tab before the IRS was notified. Auditors commonly found recipients of alimony and family support failed to report it as income. Meanwhile, the spouses cutting checks often wrote off alimony that the divorce decree stipulated was neither taxable nor deductible, or erroneously deducted child-support payments. Thyden Gross and Callahan divorce attorneys are here to help you. Our philosophy is that a constructive approach to cases, and a respectful approach to clients, lawyers, opposing spouses in divorce cases, best serves our clients. 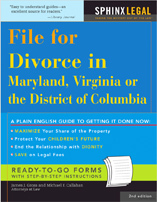 When it comes to divorce, we wrote the books!